Bright sunshine, crisp clean air, pine scents on the breeze, and lazy clouds drifting by etched against the majestic backdrop of the Rocky Mountains – this is what summer memories are made of. Just a little over an hour outside of Denver, Breckenridge, Colorado is a magical place to be. Quaint and historic , Breckenridge was a gold mining town and has a rich history. Now, the eclectic town of Breckenridge is the perfect vacation location. Away from freeways, traffic jams, oppressive summer heat, there is a liberating sensation that summer vacationers in Breckenridge experience as they enjoy mountain biking, kayaking, fishing, picnics, or just resting with a really great book! Vacation inventory is always in high demand in Breckenridge, as one of the world’s most coveted get away locations. Smart vacation planners recognize the incredible value offered in luxury fractional real estate sales, particularly in Breckenridge where second home ownership has a pretty steep entry price. There is an exclusive, limited time opportunity in Breckenridge right now – fractional real estate at the Grand Colorado on Peak 8. This exclusive resort on Peak 8 provides the second home at a fraction of the price, none of the hassle, and all of the amenities of a world class luxury resort. The Breckenridge luxury condo sales at the Grand Lodge on Peak 8 range from studio to four bedroom units with state of the art appliances and furnished with comfortable luxury. Ski in, ski out access, a family fun park nearby, and onsite pools, barbecues, theatre, fitness center, concierge, full service spa, restaurants, equipment rental – these are just a few of the amenities that make owning your luxury home away from home at the Grand Colorado on Peak 8 truly a family memory making experience. For information on the luxury condo units available, special offers for viewing the property, and no obligation information kit, call Brent Henry at 970-485-2117 or e-mail by CLICKING HERE. 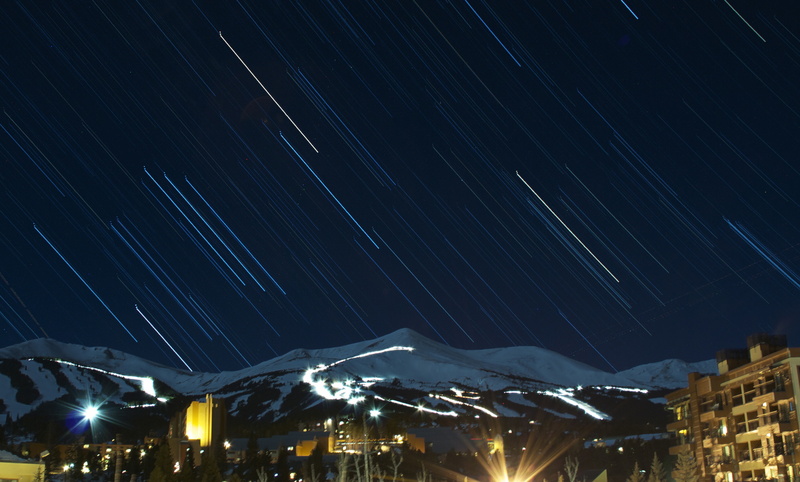 Winter is a magical time in Breckenridge, filled with stunning visuals like the star trails above the majestic peaks, bright sun glistening off of fresh snow, and the nostalgic charm of the town, lit up in sparkling white lights to celebrate the winter holidays. December kicks off the magical season with the Race of the Santas, held the first weekend to benefit Adopt an Angel. The weekend continues with the Lighting of Breckenridge, where the town transforms into a glistening wonderland, led by Santa and his horse-drawn carriage to the lighting of the town Christmas tree in the center of the town plaza. The town spills out onto the streets to enjoy the tradition, and stroll up and down with cups of hot cider and cocoa. The next morning the joy continues on the slopes where skiers and boarders exult in the season and the fresh snow, the thrill of gliding on freshly groomed trails, bumping down a mogul run, or experiencing the magical hush of skiing in the trees, knee deep in powder and solitude. The magic of the holidays nestles deep into the hearts of those who are drawn to Breckenridge over and over again. It’s a calling, a restlessness to return and experience the joy that is found in the midst of this quaint Victorian town surrounded by beauty and the majesty the Rockies. Why continue to yearn for this magic when you can do something about it? What a great Christmas gift for you and your family – have you considered a home away from home in Breckenridge where, as an owner, you can make memories for a lifetime? You might assume that you are priced out of second home ownership in Breckenridge, or don’t have time for the hassle of upkeep for a second home – but this is exactly why a fractional real estate in Breckenridge will make your dream come true! At the Grand Colorado on Peak 8, you can purchase a studio all the way up to a four bedroom luxury condo with ski in, ski out access right on Peak 8 – some of the best skiing and boarding in the entire world! Not only do you have the benefits of home ownership at a fraction of the price of whole home ownership, but you only pay for what you use, and have all of the luxury amenities of a world class resort including a concierge, restaurants, salt water indoor/outdoor heated pools, hot tubs, steam room, sauna, fitness center, full service salon and spa, theatre…. fully appointed, fully equipped kitchens… should we continue? It really is time to turn your winter wishes into reality! Contact Brent Henry, senior broker, for a no-pressure information kit. Start moving toward making your dreams come true for you and your family. Contact Brent by calling 970-485-2117 or fill out the simple form below to receive your informative information package on the Grand Colorado at Peak 8 and the benefits of luxury fractional real estate in Breckenridge, Colorado. BIG Snow Before Breckenridge Ski Season Opens! A foot of fresh powder dumped on Breckenridge, and snow is being made around the clock… With more snow in the forecast for next week…. Because… We are SIX days away from the opening day of the 2015-2016 ski season in Breckenridge! On November 13th, the chairlifts will begin to hum, and eager skiers and boarders will be waiting when they do to be the first to make tracks in the power in this new season. 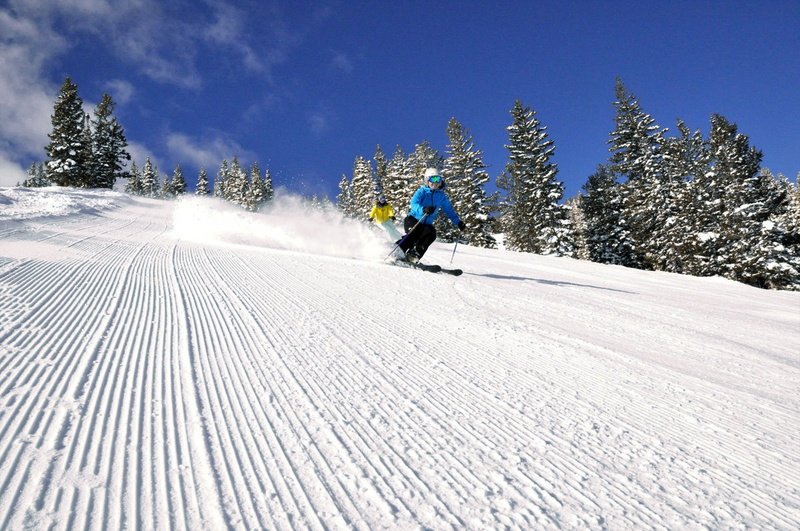 It will be a glorious day, and after reveling in the first day of skiing and boarding, tired but ecstatic people will come off the slopes and into heated jacuzzis, saunas, pools, and of course great restaurants and bars that dot the landscape of the quaint Victorian town of Breckenridge. The best time of the year will have been inaugurated properly. For owners at the Grand Colorado at Peak 8 in Breckenridge, enjoying Breckenridge gets even better, because first you can just ski and and ski out of your luxury condo, and then come home to enjoy salt water hot tubs, steam room, sauna, theatre, massage, or relaxing in your luxurious condo by the fire, with a home cooked meal or a chef cooked dinner at the onsite restaurant. Fractional resort ownership at the Grand Colorado on Peak 8 means that owners enjoy all of the amenities of a world class luxury resort with all of the comforts of home and none of the hassle of second home ownership, none of the packed hotels, and the financial benefits of home ownership. Find out more about the benefits of fractional real estate at the Grand Colorado at Peak 8 in Breckenridge by contacting senior broker, Brent Henry for a complimentary consultation. You can call Brent at 970-485-2117. He will help you find the perfect home away from home for you. Or, fill out the convenient form below and he will get right back with you. There is no better fractional real estate opportunity out there in all of Summit County, just ask the owners at the Grand Colorado on Peak 8! 13 Days to Go! The Grand Colorado at Peak 8 Awaits! Sunset in Breckenridge HDR Winter Photography. Snow is in the forecast for this upcoming Wednesday and Thursday! 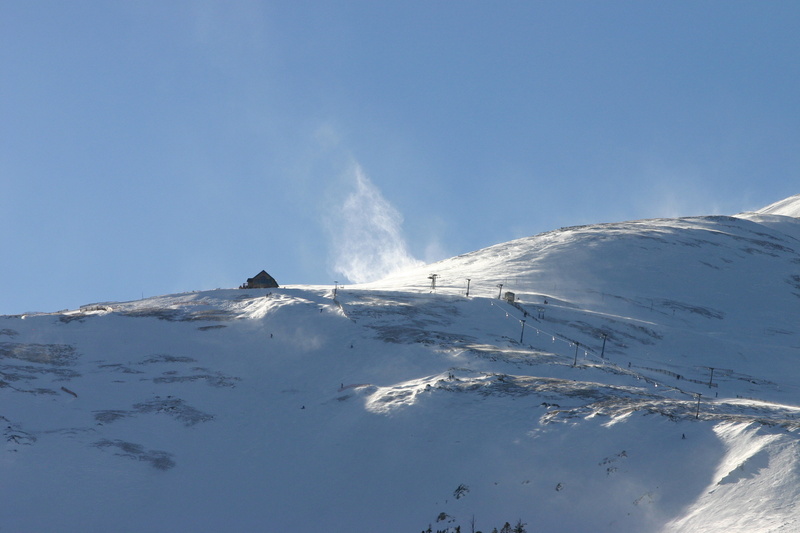 Snow is already on the ground…And opening day is November 13th! That is…THIRTEEN DAYS FROM NOW!! ARE YOU READY??? Skiers and boarders around the world are getting a tune up for those edges and a fresh coat of wax on boards and skis, readying themselves for the day the lifts start carrying them to the top of the Breckenridge Peaks! Breckenridge is one of top ski destinations in the entire world, with annual snowfall averaging well over 225 inches per year, and known for the light powder that skiers and boarders alike love to float around in! Not only is the skiing world class, but there is also a NEW world class resort consisting of studio to four bedroom luxury condos and destined to become THE most exclusive address in all of Breckenridge sitting right at the base of Peak 8 with easy ski in, ski out chairlift access. These luxury condos are FOR SALE, and are complete with all of the comforts of home, world class resort amenities including a concierge, indoor and outdoor salt water aquatics area, whirlpools, sauna, steam room, full service spa, exercise facility, movie theatre, a great restaurant on site, and the perfect skierʼs paradise at their front door. What is this resort?? It is the Grand Colorado at Peak 8, a luxury Breckenridge fractional real estate ownership opportunity that gives smart buyers the chance to have a luxurious second home at just a fraction of the price and none of the hassle of whole home ownership. 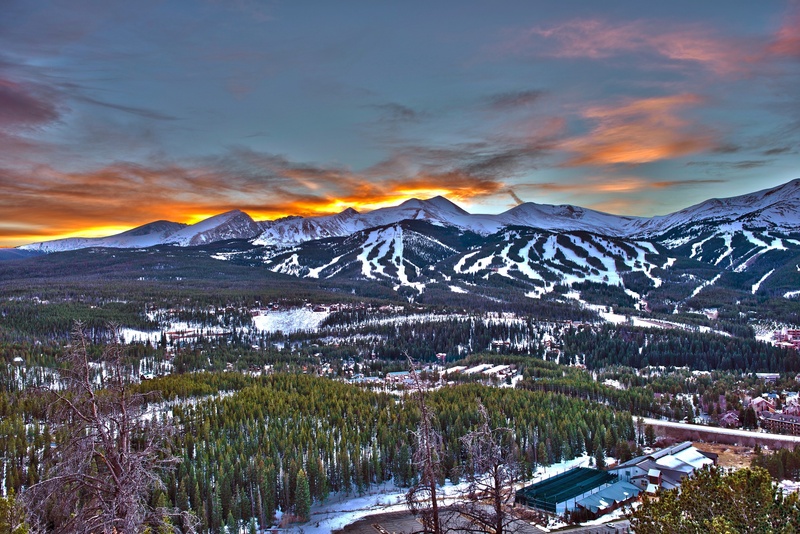 Fractional real estate is just a smart buy, and discerning buyers will recognize the financial value the Grand Colorado at Peak 8 in Breckenridge, as real estate in Summit County typically retains and increases its value over time. Fractional real estate owners have a mortgage and a deed, and therefore benefit from any increases in value, but only pay for what they really use. For more information on this exclusive limited opportunity, contact Senior Broker Brent Henry for a complimentary owner’s package. Call 970-485-2117 or CLICK HERE to request an owner’s package in the mail. #Snow in #Breckenridge… Let the Countdown Begin! There is a LOT of mountain to ski and lots of ways to get there! So… do you have your winter skiing plans made? What is it that you could possibly be waiting for?? Skiers and boarders, NOW is the time to get your plans locked up. Make Breckenridge your home away from home, there is no more magical place to be during ski season. You really should consider luxury fractional real estate as an opportunity to have a second home at a fraction of the cost of owning a luxury condo in Breckenridge, Colorado, and all of the benefits of whole home ownership. This strategy provides you with all of the comforts of home, plus world class amenities, and luxury hotel level services. The Grand Colorado at Peak 8 offers studio to 4 bedroom condos with ski in, ski out access. The Grand Colorado at Peak 8 is also a very exclusive resort, with only 75 total units available, and soon to be the most prestigious address in all of Breckenridge. It has a luxurious mountain modern feel, with world class amenities and all of the comforts of home with absolutely none of the hassle. This prestigious resort will sell out fast – it is already beating sales records, as smart buyers recognize the value for what it is – one of the most outstanding real estate opportunities in all of Summit County, Colorado. For more information on luxury fractional real estate in Breckenridge, Colorado, contact Brent Henry, Senior Broker, and an expert in fractional real estate in Summit County, and particularly Breckenridge. You can call Brent at 970-485-2117 or complete the convenient form for a Grand Colorado at Peak 8 information package to be mailed to you. Either way, you need to get busy NOW so that you don’t lose this opportunity to enjoy one of the most amazing places on earth!